When a small business evolves and incorporates it stands to gain particular advantages. For one, ceasing to be a sole proprietorship adds a level of credibility that customers appreciate. Additionally, a corporation, limited liability company or other entity type achieves a legal status that separates it from the individuals who founded it, which is a huge upside when it comes to ownership of assets. Deciding the structure of the entity is always a problem for most entrepreneurs, especially novices. 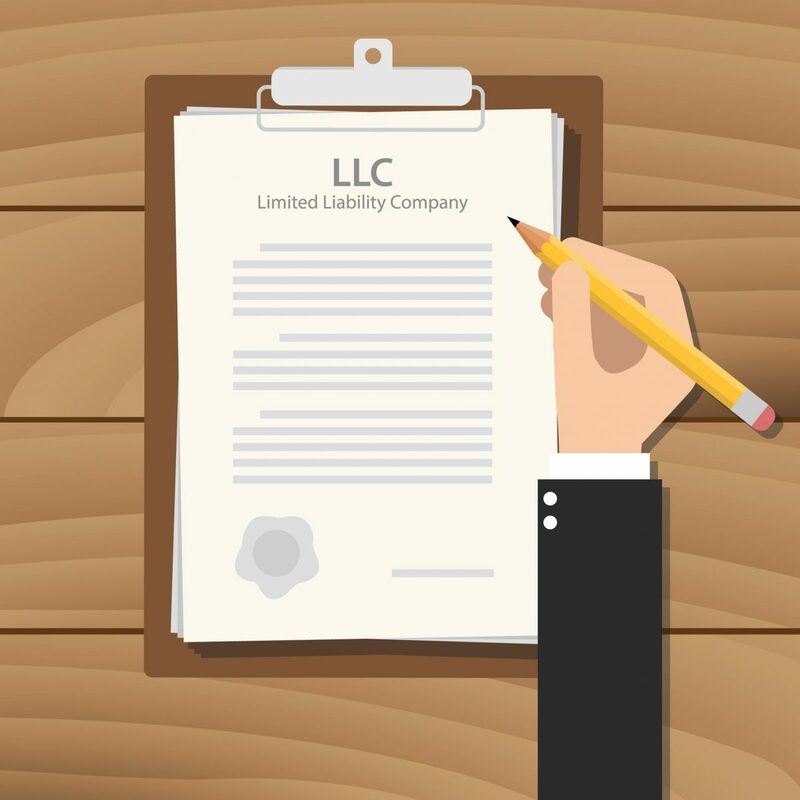 You may ask what sets a limited liability company apart from a corporation and the impact each has on your business. Which of the two will suit your business demands better and help your company grow? No definite answer can recommend you to pick one over the other. The best approach is to understand what each business structure offers and see how it aligns with your goals. Both an LLC and a corporation are designed to offer liability protection to the founder because assets are separated. The highest risk of running a sole proprietorship is that in the event of financial trouble, the company assets are joined to personal ones, which risks everything you own. With a limited liability company or corporation, there is a boundary between your personal and business assets, meaning if the enterprise gets into debt, your personal belongings are not threatened, and vice versa. However, the way protection is provided by these two entity types is slightly different. With a corporation, even though a shareholder’s assets are not tied to the business, they may not be safe from a shareholder’s creditors. It is possible for creditors to attach a shareholder’s stock, thereby assuming all the rights the shareholder has in the company, consequently giving the creditor power to make decisions regarding the direction of the corporation. Conversely, with an LLC, a creditor can only touch the economic rights to distribution of a member but hot his or her ownership. The administration of an incorporated entity is another aspect to consider when deciding which structure suits your entity. Corporations consist of formal management arrangements where boards of directors handle the key decisions in enterprises while other executives are tasked with the daily operations. Corporations also have shareholders who own a percentage of the company stock; and so, are entitled to the profits. Depending on the size and type of stock held, a shareholder can have certain rights in the management of a company. On the other hand, LLCs are run less formally by a group of managers or members. The managers/members own fractions of the business and decide the method of management, as well as how to distribute profit amongst themselves. LLCs have more flexibility regarding meetings and notices. When thinking about the best type of management, consider the kind of business, the number of workers, and future investment options. A corporation allows easy transfer of shares, which makes it attractive to investors. An LLC is ideal for a small business that has no intentions of sourcing for funds from outside and wishes to maintain a level of informality in its management. The tax requirements of an incorporated business are some of the primary concerns of any entrepreneur. For corporations, taxation depends on whether it’s a C or an S Corp. C corps tend to pay double taxes because there is the corporate income tax for the business and a personal income tax, which applies to every shareholder who receives profits. An S Corp “passes through” its taxes, meaning the business doesn’t pay federal tax instead, the shareholders have to report profit/losses. For this reason, the revenues that an S Corp makes cannot remain within the business. The taxation of an LLC is similar to that of an S corp where the owners report the income and losses, thus paying personal tax. There is a self-employment tax for members who receive earnings from an LLC, which can increase the overall tax liability of owners. A business owner should examine these factors before settling on a corporation or limited liability company. The sort of company you run and the future you envision for it will help you determine the best path to take. Contact Windsor Corporate Services and we can assist you in this process.